Women can often have a tougher time than men when it comes to money. That’s not because women are bigger spenders than men or that they simply aren’t interested in building wealth and investing. The truth is, there are real structural roadblocks to attaining financial freedom for women compared to their male counterparts. We’ve all familiar with the gender gap statistics. A recent Maclean’s article highlighted a 26 per cent gap between full-time wages paid to men and women in Canada. But it doesn’t end there. Women feel financial headwinds in a lot of areas. Surveys clearly bear this out. For instance, according to a November 2017 survey done by Los Angeles-based Capital Group Companies, one of the largest investment management firms in the world, even though women believe they have more economic power as investors than they do in the workplace, eight out of 10 women have personally experienced negative stereotypes about their investing know-how and financial contributions to the household. Of course, there’s gender price discrimination, known as a “pink tax” (meaning women pay more for “female” versions of products than men do for similar products), wage bias, career bias, investing bias (where men are seen as better investors than women) and wealth building bias (the idea that since women make less and invest less, they also build less wealth over a lifetime). There are plenty of barriers some women can face to getting ahead financially. 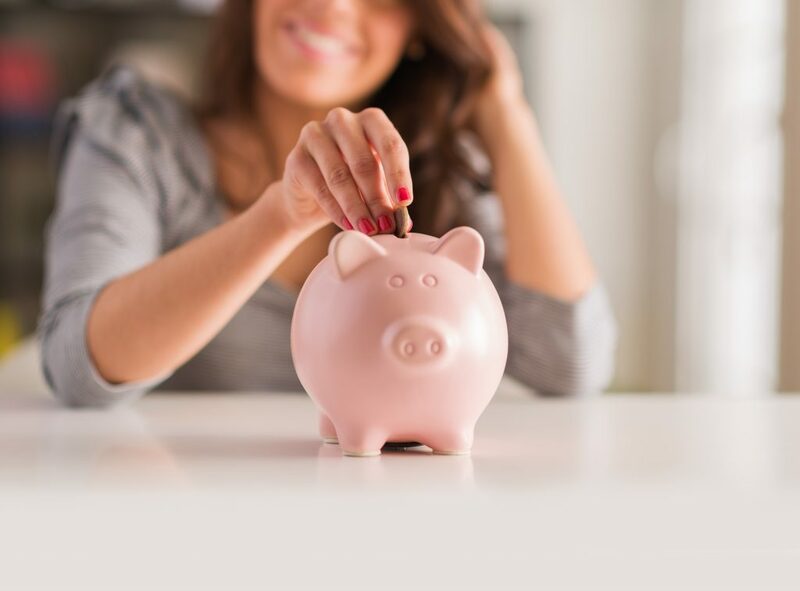 Happily, there’s no better way to overcome these barriers than with a good, old-fashioned emergency fund—or what some women would be right to call an FU-fund, especially if they don’t otherwise have the resources to act as a cushion while getting out of a messy divorce, or while taking some extra time with their kids as a single parent. An FU-fund is a constantly growing stash of cash that allows women the time and financial resources they need to better their lot in life—whether it’s quitting a stalled job, adding more skills training or professional credentials. MoneySense is here to help. Here are 10 things you can now to improve your bottom line for the long term. That means buying men’s versions of almost anything. In many cases—whether it’s beauty products, haircuts, clothes or dry-cleaning—gender-based pricing is a real thing. Known as the “pink tax” it means women end up paying tens of thousands of dollars more over a lifetime for the same goods and services that men do. In fact, a study done in December 2015 by New York City’s Department of Consumer Affairs found that, on average, products for women cost 7 per cent more than similar products for men and women’s products were priced higher 42 per cent of the time. So what should you do? “Change the gender gouging to your advantage,” says Rita Silvan, an investment and lifestyle editor with goldengirlfinance.com. “Look at generic items like shampoo, soap, razors, and deodorant and shop the men’s shop first…My mother even goes to a barber for a short pixie cut where she pays $20 instead of $100. At the end of the day, hair is hair.” Silvan also recommends that women keep mental track of how much they’re saving. “It can be substantial,” says Silvan. For instance, if you put $5,000 away each year from shopping with the strategy to avoid the pink tax and for 30 years you put that money in an emergency fund and invest it at a modest 5% average annual return, you’ll have $370,413. They key? Tracking your spending. Learn more here. Here are some guidelines for achieving negotiating success. Here are steps on how to actually ask for a raise. And for inspiration, here’s one single mom’s story on how saving an emergency fund helped her make bigger life decisions. Oh, and if you’ve learned you’re being paid less than a male colleague, here’s what you can do about it. Why do women still flock to fields such as education and health sciences while more men choose engineering? A big part of the answer is societal factors that tend to lead girls to underestimate their own abilities and a lack of role models at top levels. Add in other factors, like the fact that many women drop out of the workforce due to maternity leave or decreased hours to accommodate family responsibilities, and it’s easy to see how women fall off the career track. What helps in closing the career gap is understanding the ramifications of your decisions. “If you decide to drop out of the workforce for 10 years to raise a family, create a 10-year-plan,” says Caird Urquhart, founder, and president of Newroad Coaching in Toronto. “In years 8 and 9, start planning your re-entry, whether it’s by upgrading your skills, working part-time, or simply working a bit from home.” Still dreaming of scoring your dream job? Here are steps towards landing it. That means taking 10% gross from your pay and tucking the money away in your FU-fund. Depending on your situation, you might even want to insist on a monthly allowance for yourself from a wage-earning partner while you’re out of the workforce—whether it’s to raise kids, retrain, or become a caregiver to elderly parents. Save a 10% portion of that and keep topping up your FU fund so you can dip into it as needed. Here’s what you need to know to automate your savings. Once you’ve paid off debt and have a job you like, sit down and set some goals. “If you’re married, or in a relationship, don’t leave it up to your partner to do this alone,” says Urquhart. “It’s not smart to let men control everything in your life. Help draw up the family budget and weigh in on what the family’s goals should be.” Here’s how to also prioritize your financial goals. You need to know how your money is spent and invested. Start by choosing a financial advisor you trust and then meeting with him or her annually. Here’s a cheat sheet on how to find the ideal advisor. Read a couple of personal finance books. It really doesn’t matter which book you start with and what financial savings path you take—as long as you keep moving forward. “Women, in general, gravitate to low volatility investments—GICs, bonds, and the like,” says Silvan. “But that’s often because they earn less and have less in savings to work with. Women with larger disposable incomes can take more risk.” Here’s why diversification matters. Finding one good balanced fund and putting your emergency savings into it is often all that’s needed. Or, simply opting for one of the new Vanguard Exchange-traded funds (ETFs) that have all the diversification you need built right into one low-fee fund is also a good move. You can learn more on that here. And while you’re at it, read Jennica’s story of how she built a simple low-cost portfolio with balanced funds. It’s eye-opening. Wealth is the difference between an individual’s assets and liabilities. But the concept of wealth is so much more. It’s the ability to pay for an emergency or other unexpected expense, the freedom to buy a home or pursue higher education and the security of having enough for retirement. In short, wealth is stability and opportunity. Draw up an annual net worth statement to see if you’re on track with your financial goals—and to ensure you’re topping up your FU-fund if you’ve dipped into it over the course of the year. If you do this one simple step, you’re more likely to have financial success. Are annuities the new RRIFs?